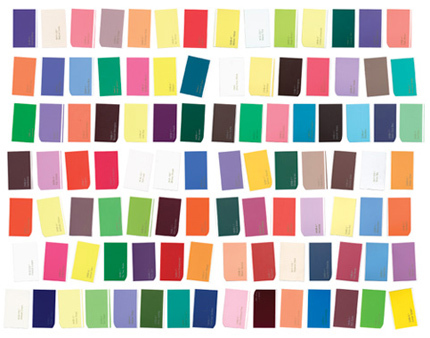 Everyday for 100 days, Rachel Berger, a graphic designer in San Francisco, picked a paint chip out of a bag and responded to it with a short writing. Incredible and imaginative I think. You can read about her project here! 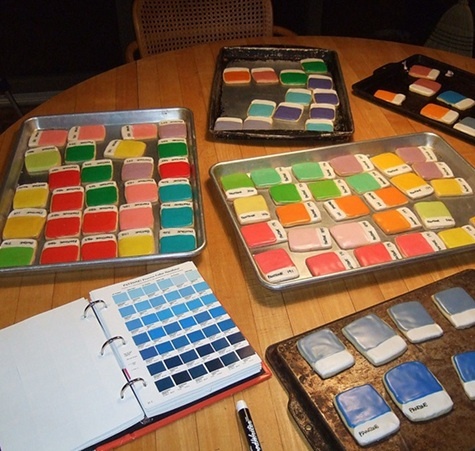 Kim Neill, also a graphic designer decided to deviate from the usual chocolate chip cookies and make some paint chip cookies for her clients ... I am blown away by such creativity! When I was up in Berkeley with my daughter we went to Blick's Art Supply to get her some supplies for an art class she is taking. Have you been in one of their stores? It is the best! 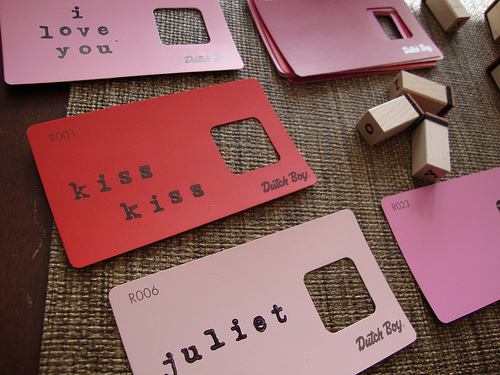 Just their selection of spray paint made my heart pound with excitement. I also saw these metal storage boxes and wanted to get a few but I knew that I already had overflowing luggage and so I passed on them. I was thinking I would store samples in them. 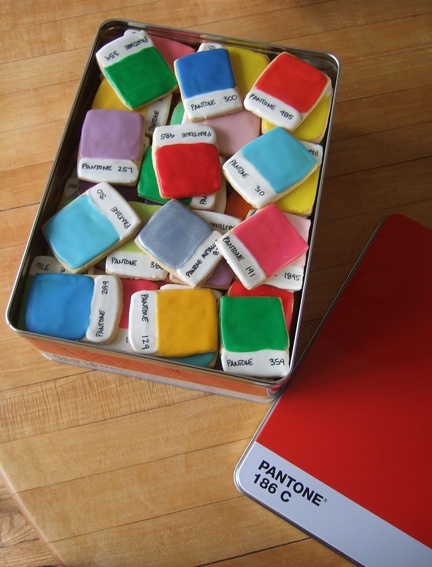 A few days after I got home, my daughter sent me an email showing me an image of some paint chip cookies that she found online and they were packed in the same Pantone metal boxes. Amazing right? 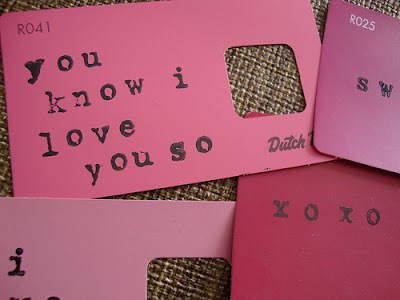 I had to know who made them so I searched a little and found that they were made by Kim Neill. Her website is: KimCreativeStar.com and you can get the directions on how to make the cookies here. And then I found these made by Vanessa Rough @ Silly Eagle Books and I like them very much! 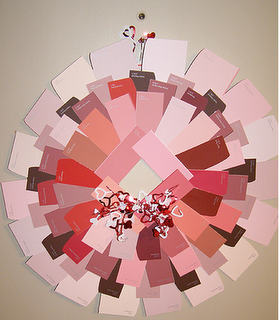 Have you seen this paint chip wreath? 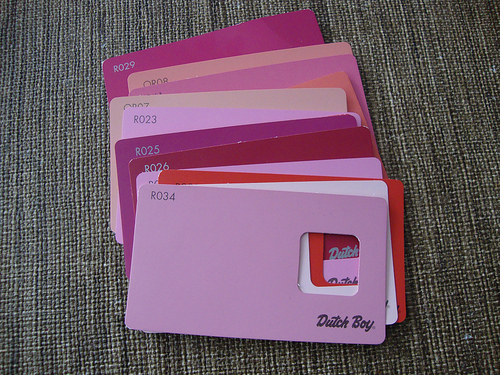 I'm thinking my daughter is probably going to have to hitch a ride to the nearest paint store when she sees this! And I'm wondering ... how many chips is okay to take legitimately?! Oh wow! How inspiring! 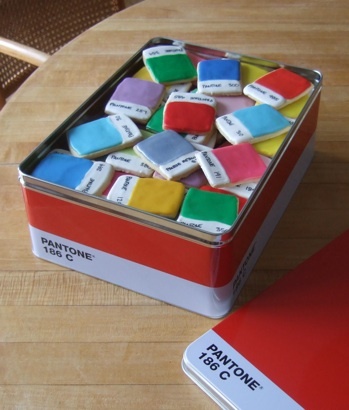 I really love those color swatch cookies in the tin box! Excited about finding your blog too! 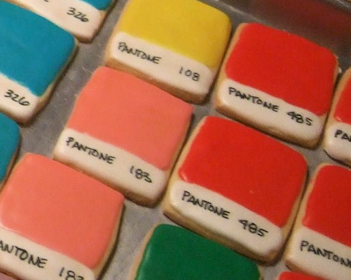 I cannot imagine having the patience to do those cookies -- thank goodness creativity among us is so diverse! Great ideas for us paint junkies! How are you doing, my friend? 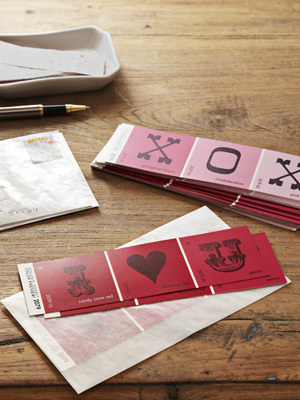 This is a genial idea! I love it too! So good! I hope you're having a wonderful week so far. 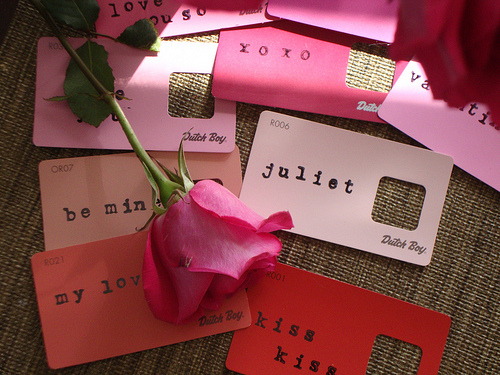 Steph - Your Valentines (and ALL your tags) are GREAT! Thanks for sharing! 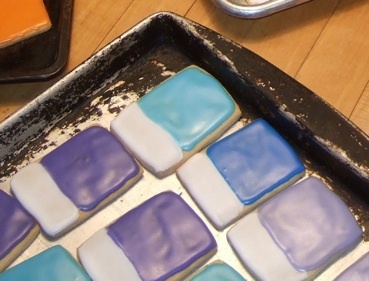 My goodness, those Pantone cookies are a feat of genius! Thanks so much for becoming a Nero follower. A photo shoot, a new venture and a good friend!